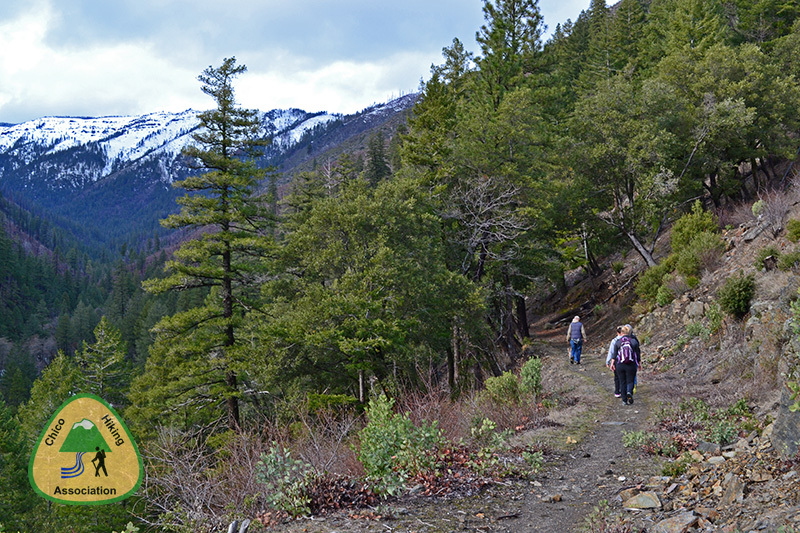 This hike starts in the immense Feather River Canyon, and goes up steeply for 4 short switchbacks, and then follows a level route created long ago by miners. There is a secluded campsite for Pacific Crest Trail travelers as they prepare for a nearly 5000' climb, and flood-polished metamorphic rock for dayhikers to rest on and admire the creek. This is low elevation, despite having big mountains all around, and is snow-free most of the winter. CalTrans has a webcam higher up the canyon, and if it is snow-free there it should be snow-free at this hike.